October 1986: The Independent launched by former Telegraph staffers Andreas Whittam Smith, Matthew Symonds, and Stephen Glover. November 1989: The Independent records its peak circulation, 421,829. January 1990: Independent on Sunday is launched, edited by Independent founder Stephen Glover. 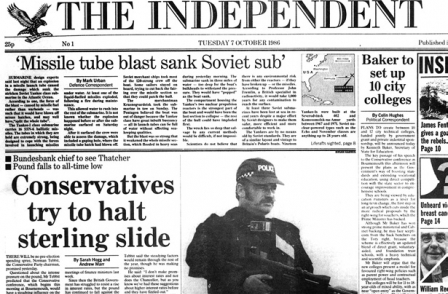 April 1992: The Independent overtakes the circulation of The Times. The Indy’s sales were 389,523 compared with The Times’s 386,258. October 1993: In a bid to get The Independent’s tanks off its lawn, The Times unleashes the price war. The dramatic move by Rupert Murdoch left The Indy at 50p, costing 20p more than The Times. 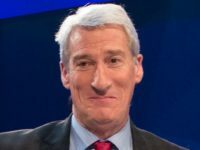 The subsequent drop in The Independent’s circulation and advertising revenue made it vulnerable to takeover, with key Spanish and Italian investors keen to sell their 38 per cent shareholding. December 1994: Indy moves to Canary Wharf from City Road. March 1995: A complaint against The Independent over a poster campaign aimed at The Times and Daily Telegraph was upheld by the Advertising Standards Authority. The poster featured mastheads in the style of The Times and The Daily Telegraph which read “The Rupert Murdoch” and “The Conrad Black”. The advertisement carried the end line “The independent Independent”. 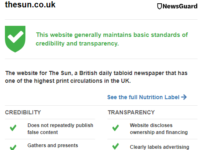 The ASA said it considered “that the advertisement implied incorrectly that The Independent’s shareholders could not affect the newspaper’s editorial policy and asked the advertisers to withdraw the claim”. March 1995: Newspaper Publishing, owner of The Independent and Independent on Sunday restructured. Mirror Group and Tony O’Reilly’s Independent News & Media become joint owners of Newspaper Publishing, each with a 43 per cent stake. January 1996: Hargreaves goes. Charles Wilson takes over as acting editor of The Independent. March 1996: Forty-two journalists at The Independent and Independent on Sunday made redundant. May 1996: Andrew Marr appointed editor of The Independent. August 1996: Twenty-seven thousand copies of The Independent were scrapped after a prankster altered the flannel panel on the leader page to credit editor “Charles Wapping”, deputy editor “Mother Theresa of Calcutta” and managing editor “Colin Who”. Other bogus credits included section two editor “Charles Deadbetter”, assistant editor “Simon Says” and, on the board of directors, “St. Andreas Whittam Smith”. February 1998: Rosie Boycott appointed editor of The Independent, the first woman to edit a national broadsheet. March 1998: Independent Newspapers takes full control. O’Reilly bought out the other 54 per cent of the company for £30m, and assumed the company’s debt. Marr brought back as editor-in-chief to work as “dream team” with Boycott. April 1998: Rosie Boycott leaves to become editor of Daily Express. July 1998: Kim Fletcher made editor of Independent on Sunday. August 2000: The Independent moves to Marsh Wall in London Docklands. April 2001: Street Porter made Independent on Sunday editor-at-large. Tristan Davies made editor. September 2003: The Independent produced in dual broadsheet and “compact” formats. January 2004: Saturday Independent goes tabloid. March 2004: The Independent named Newspaper of the Year in the British Press Awards. May 2004: Independent goes totally tabloid. October 2005: Independent on Sunday goes tabloid. April 2006: New second section, Extra, introduced. March 2010: Russian billionaire Alexander Lebedev paid a nominal £1 for The Independent titles. Independent News and Media also agreed to pay the Lebedevs £9.25m to take on future liabilities. At the time the titles were said to be losing £20m a year. Ownership then passed on to Alexander's son Evgeny who has been the hands-on proprietor of the titles. October 2010: The Independent launches a cut-price sister title the i retailing at 20p on weekdays and offering a digested version of the main paper. May 2011: Saturday edition of the i launched costing 30p. April 2012: The Independent's circulation falls below 100,000 (including 30,000 bulk free give aways). September 2012: Independent, i and Independent on Sunday make £16.6m operating loss for year to that date. May and June 2013: Current editors of The Independent (Amol Rajan), Independent on Sunday (Lisa Markwell) and i (Oliver Duff) are appointed. September 2013: Independent, i and Independent on Sunday make £12.3m operating loss for year to that date. September 2014: Independent, i and Independent on Sunday make £4.6m operating loss for year to that date. February 2015: ESI Media confirms Independent and Independent on Sunday closures after sale of the i to Johnston Press. The Independent will continue to exist as an online-only product.